Manchu Manoj’s latest release, Shourya, got him a huge appreciation for his subtle performance. The film has found patronage of romantic thriller genre lovers. Shourya also features versatile actor Prakash Raj in a crucial role. Speaking at the film’s success meet, Prakash Raj heaped praises on Manchu Manoj and said that he accepted the offer to act in Shourya only for Manoj. 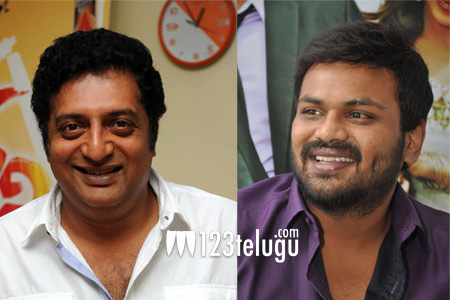 Stating that Manoj has not got his due until now, Prakash Raj said Shourya will be a career defining film for Manoj. Directed by Dasaradh, Shourya is produced by Malkapuram Shivakumar who earlier produced Nikhil’s Surya Vs Surya.